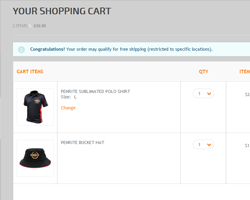 Login into the Penrite Merchandise Store using your Penrite Trade Account email address. 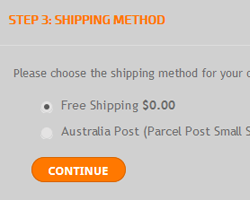 Or if your Trade Account is not linked to the Merchandise store please Sign Up using this link: https://store-i0bht.mybigcommerce.com/login.php?action=create_account after signing up you will need to wait 24 hours (Business Hours) to receive Trade Account benefits. 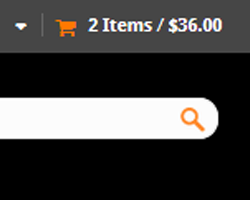 Navigate around the Merchandise Store and add products you wish to order to your Shopping Cart. 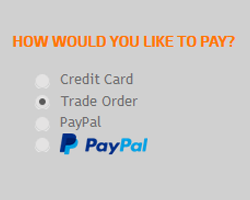 When your order is correct, please choose Trade Order under How would you like to pay? 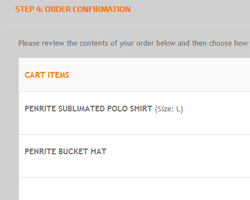 This will allow us to charge the order to your Penrite Trade Account. 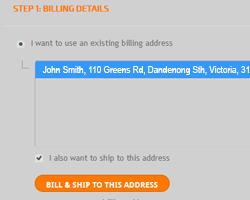 Finish by clicking on Continue.